When calibrating your UPRIGHT GO you need to sit/stand up straight. If you're not sure what that means, try the following exercise. The common mistake when getting upright is to over-extend and think you are straight. Always remember, your neutral spine should feel comfortable and natural. NOTE: When you start training, it may be difficult to hold yourself upright. As you continue to train with the UPRIGHT GO, you will begin to strengthen your core muscles making it easier to sit/stand up straight for longer periods of time. Want to learn about the benefits of good posture? Click here! 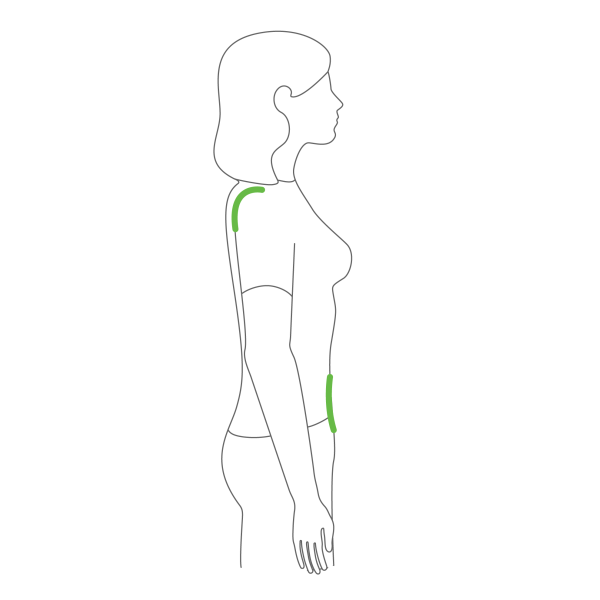 Watch our video tutorial on HOW TO PERFECT UPRIGHT POSTURE or get started by learning how to set the GO to your upright position.